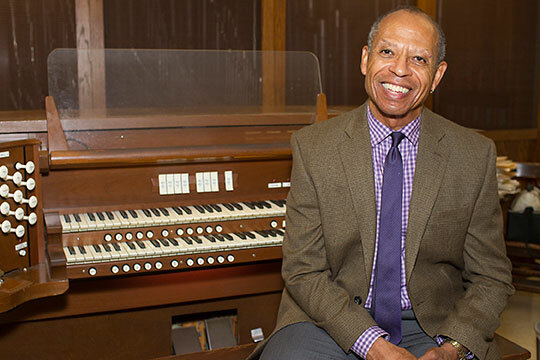 Dr. Herndon Spillman learned to play the organ at age 13, when he began taking lessons on an electronic organ at the university where his father taught. Spillman explained that there were no pipe organs available in black Huntsville, Ala., churches at the time, limiting his accessibility to the instrument. He studied organ for all three of his degrees, basing his dissertation on the work of Maurice Duruflé, a French composer, organist and pedagogue with whom he studied for two years in Paris. Now an internationally acclaimed performer, his recordings of Duruflé’s music won a Grand Prix du Disque, the premier French music award, from the French Academy of Records. Shortly after he studied in Paris, Spillman began teaching organ at LSU. Having served the university for more than 30 years, Spillman has endured budget restrictions, program cuts and low student numbers. The Carolyn Botkin Mattax Endowed Professorship has helped him work to keep the organ program strong. 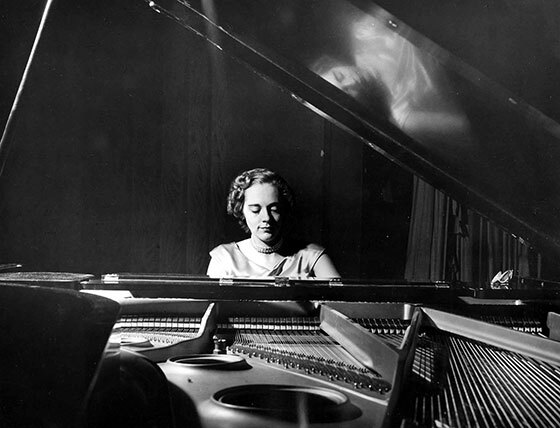 Carolyn Botkin Mattax performs at her LSU Piano Recital in 1951. Mattax, an accomplished organist, pianist and violinist who received her master’s degree from the School of Music in 1951, established the professorship in 2000 to restore emphasis on the organ program at LSU, and provide a future for the 500-year-old art form. “A great pipe organ played by a great musician like Dr. Spillman produces sounds and an experience which cannot be duplicated electronically and should not be lost,” she emphasized, saying that she would love to see a new hall for this. Mattax added that Dr. Beck, Director of the School of Music, strongly supports the organ program.